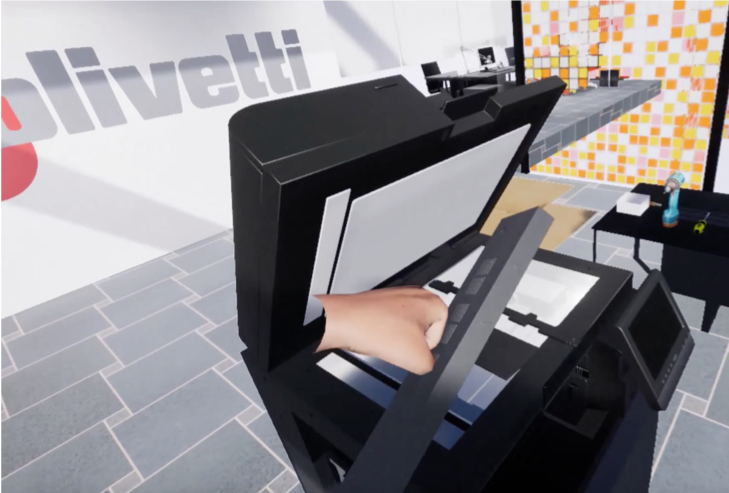 Olivetti need was to train their unskilled technicians on field, responsible to install and maintain their multipurpose printers. Due to time & budget constraints, they decided to create a VR Academy to increase retention rate and training reach. 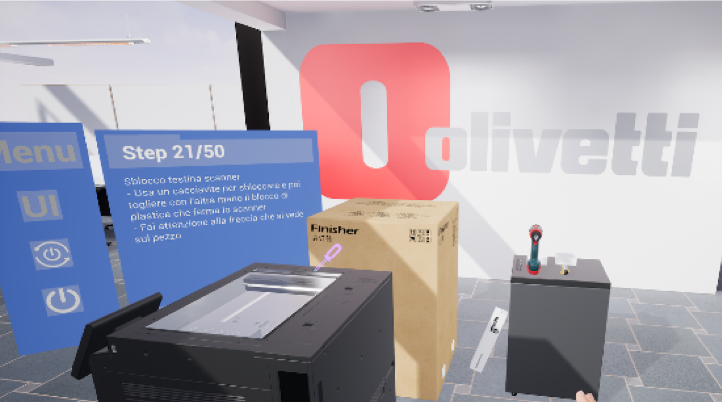 Thanks to Virtuademy, products and procedures were recreated in VR with extremely high fidelity, allowing the implementation of delocalized VR Academies across all Italian regions. The experience guides the users through the simulation of every step, with a practical learning by doing approach.